There’s no doubt that a newlywed bride still has quite a lot on her mind even after the gifts have been packed in to the car and last guests have left the wedding venue. More often than not, honeymoon plans, arrangements for pet care, and name changes for various legal accounts all have to be taken care of as well. One thing that often gets set aside is the cleaning and after-care of the bridal gown. Chances are your wedding dress is the most expensive purchase, or at least of the most expensive, that you will ever make in your life, and for many brides, it is the ultimate memento of their special day. Let’s take a look at the most common wedding dress mistakes that brides make after saying “I do”. The reality is, washing and proper storage of the wedding dress is not the top priority once we return to the real life. However, if you wait too long, stains will be more difficult to remove and may ruin your gown. Body sweat can eventually cause delicate parts of the dress to become brittle, while food and make-up stains can become permanent if left for too long. To give your dress a chance for second life, the best thing to d is to get it professionally cleaned and preserved within a month after the wedding. Do yourself a favour, and only have your dress cleaned by a professional dry cleaner that specializes in dry cleaning special garments like your wedding gown. Some cleaners don’t know that spills with sugar in it, like ginger ale and white wine, can dry clear and don’t dissolve easily. When these stains are not properly removed, it can turn dark brown over time as the sugar caramelizes. To ensure you’re entrusting your precious dress to professionals, your first option is to ask your bridal studio if they carry special dry cleaning services for wedding gowns. Storing wedding dresses in their original plastic garment bags expose them to plastic fumes, which can lead to yellowing of the fabric over time. 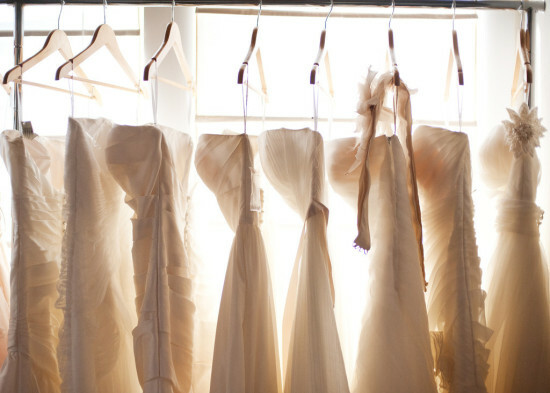 After you’ve had a lovely bridal studio experience at Whitelink in Singapore, it is important that Instead of keeping your gown in a plastic bag, store it in an acid-free box and keep it away from the sunlight. Use the ribbons attached to the inside part of the dress. The ribbons are directly sewn into the seams and designed to support the weight of the dress without damaging it. Hanging the gown by its straps can impact the lace and fabric, stretching the dress out of shape. To avoid damage, inquire about dry cleaning to your bridal boutique or ask if they can recommend someone who can get the job professionally done. Basements have humid environment, and if a pipe breaks, the water will surely find its way to your dress. Attics, on the other hand, are too hot for your dress to handle. Temperatures can rise to more than 140⁰F and rot the fibres of the wedding dress. After the wedding, the budget tends to get tighter, with many brides not including dry cleaning in the wedding budget. Therefore many take the DIY route, and try to clean the gown by themselves. This is a big NO if you want to preserve your dress in its best condition for years. Although club soda is said to help in removing stains, it can leave marks on silk and won’t be able to remove stubborn stains like lipsticks. DIY may help as a temporary fix, but not as permanent cleaning solution. If, by any reason, you can’t have your dress dry-cleaned immediately after the wedding, you can temporarily treat the stains yourself. However, be sure to bring your dress to a professional dry cleaner as soon as you can. •	Red Wine – Gently dab the stained area with white cloth soaked in warm water. It should soften the stain a bit and reduce its severity. •	Grease or oily food – Dab the stained area with a cotton swab wet in rubbing alcohol. Like the previous one, it should reduce the oil stain on the dress. •	Blood stain – Since the blood is dry at this time, try to soften the stain by holding a white cloth soaked in very cold water on the spot. If doesn’t come off, look for hydrogen peroxide in your first aid kit and dilute one part of it to nine parts water. Gently dab the stain with the solution. Once it softens, go back to cold water to dab away most of the stain. •	Lipstick stain – Use a solvent, such as a cigarette lighter fluid or a dry cleaning fluid to dab away lipstick stain. But be careful though as such solvents can discolour the fabric. •	Ink – Dip a cotton swab into rubbing alcohol and carefully dab it onto the stain. Protect the underside of the fabric with a white cloth to absorb the ink from underneath. If you want your dress to be treated regally, make sure to only have it cleaned only by a professional. Your bridal boutique is your best source of information for professional dry cleaners in your place. Some salons carry dry cleaning services, so be sure to ask your bridal studio about this. Venue – there are many wedding venues here in Singapore. If you want to get married in a church, you should look for the church that you want to conduct the ceremony. Reception – wedding halls are numerous here in Singapore. This is where you will bring your visitors after the ceremony to share a meal. This is not a problem because there are different weddings halls that you can consider according to your budget. 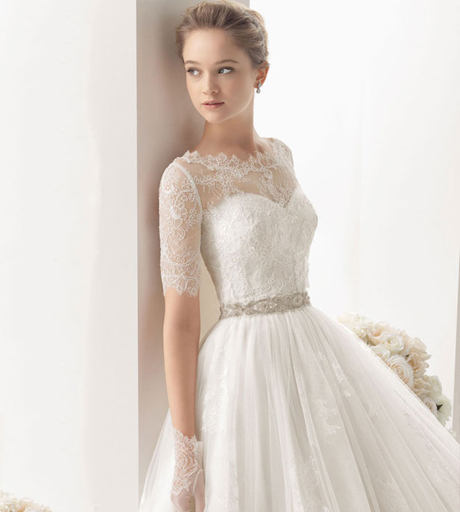 Wedding gowns – there are hundredths of wedding gowns out there but surely, there are perfect bridal dresses from Singapore that is made for you. You can ask a couture to present you with their wedding gowns but if you want it made especially for you, you can ask them to make you one. Catering and cake – the spice of the party is the food and the drinks. If you provide good food, people will surely remember your wedding. Do not forget about your cake for the ceremonial cutting of the cake. It doesn’t have to be that elegant. Centerpiece and other flower arrangements – flowers will bring color and joy to the people around. You can look for a florist to arrange your flowers if you want. Invitation cards – if you have everything readied, you should proceed with designing your invitation cards and send it. Do not rush – you should take everything easy. You do not need to rush especially if the wedding is still far. This is particularly pertinent when shopping for your wedding gowns. Make sure that you are confident and happy about your choices. Do not panic – when your wedding is coming, be calm. Panicking will not do you good. It will simply stress you which is not a good thing. You’ll not want to look like a stressed out bride in your wedding dress. 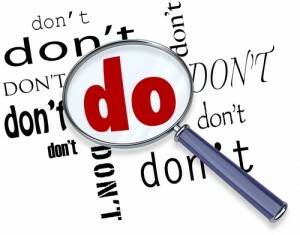 Do not over think but do not be too confident – you should not think too much of the things that might fail. It is said that you should be calm and relax but this does not mean you are too lax confident. If you want to ensure that everything falls into its proper place, you can ask a wedding planner to arrange everything for you from the catering up to the bridal car. You do not need to deal with all the troubles. All you need to do is sit back, relax and beautiful. If you are cost cutting, you can ask from other friends and relatives to arrange everything. It is important to note here that the wedding will not determine the marriage you will have. We hear that there are other people who have the best wedding in town yet they parted ways after a few years while there are others who have simple weddings yet their lives are blissful and contented. After the wedding, you should continue to strive and rekindle the love and the relationship even if you have kids or even if you grow old.